This was my first non NES sprite. It's Balrog from the excellent game Doukutsu Monogatari, AKA Cave Story. More information about the game is at this site, I suggest you go play it if you haven't yet! Wow, I was looking up 'Cave Story Sprites' in Google images and came across this. You know, I think I'd die for a Balrog T-shirt. That is really neat, I would definitely buy that. 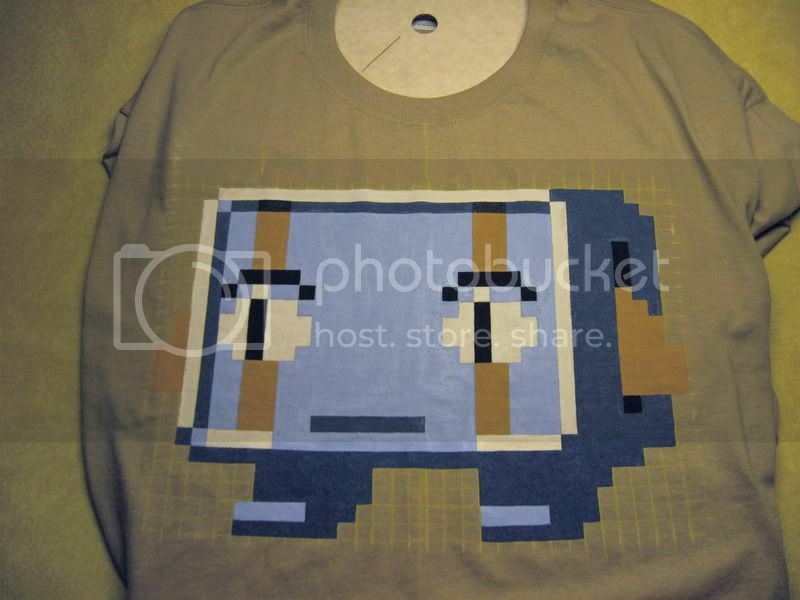 You see, I was actually looking for a cave story t shirt when I came across this. Augh, this isn't for sale??? I just came across this randomly, too, but when I saw that shirt I totally would have bought one for my boyfriend. Balrog is his favorite Cave Story character! Huzzah!